Boys in this phase of their education are directing their minds seriously towards tertiary studies and integrating leadership roles with busy schedules, including sporting, academic and extra-curricular responsibilities. The cognitive demands of the curriculum coincide with the emergence of reasoning capabilities, and there is a healthy expectation to apply critical thinking skills. 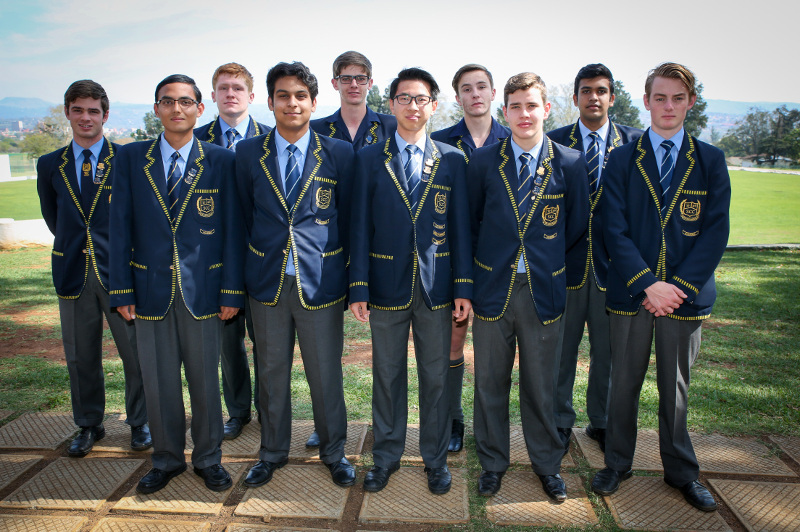 The aim of the final two years at the College is to direct a growing independent ethic as our boys prepare to take their places successfully in a global village. The focus of the Upper School is responsibility - to the College, parents and ultimately to building a stronger South African society and economy. Grade 11 and 12 boys are expected to act as role models and mentors to those in junior grades and to set a positive example at all times. In line with the Cambridge curriculum we aim to develop boys who are "confident in working with information and ideas - their own and those of others; who are responsible for themselves, responsive to and respectful of others; who are innovative and equipped for new and future challenges and who are engaged intellectually and socially, ready to make a difference." The College Staff, as experts in their subjects, are drawn to the College by the high standards expected in the Cambridge Examinations. The challenge of implementing current international standards and developments in teaching and learning provides for an exciting academic environment where the focus is clearly on deep subject understanding. The staff at the College are encouraged to continue their postgraduate studies and the boys are able to benefit from the experience of highly qualified staff, many of whom have PhD and Masters degrees. The Senior School staff fall into five faculties: Mathematics, Languages, Sciences, Humanities and Enterprise (Commerce and Technical). The range of subjects offers directions for all boys while maintaining their choices after school. St Charles College has offered an International Curriculum since 2002. Today we are able to offer academic routes suitable for each boy. The pathways are directed at ensuring boys are both locally and internationally ready for tertiary studies. We are pleased to offer a range of pathways which lead to University and technical studies in South Africa and abroad. Academically mature boys will follow this track obtaining three or four A Levels. A Level candidates will write AS Level examinations in June of their Grade 12 year. Boys heading for tertiary studies in South Africa will study towards obtaining four to six AS Levels. IMPORTANT: “pending approval as a Pearson BTEC centre"
Alongside a diploma or bachelor degree matric pass, boys may allocate a portion of their time to obtaining a technical qualification.